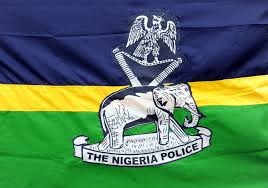 The Kwara State Commissioner of Police, Mr. Lawan Ado, on Monday said the command had redeployed policemen at the Adewole Police Division in Ilorin, over an allegation against them. He said some residents had alleged that some of the policemen in the division had been selling suspects detained at the station to ritual killers for N80,000 per person. Ado said this during a visit of the District Governor, Rotary International, District 9125, Mr. Mbanefo Nnoka, and his team to the command headquarters. The CP said although the allegation was false, unfounded and untrue, the command redeployed the policemen to avoid needless rift. He said the police had investigated the allegation and even asked members of the public with credible information indicting any of the police officers to make such available. He added that no one had come forward with information and evidence to indict any police officer in the state for selling suspects to ritual killers. Nnoka who oversees Rotary Clubs in 23 states and the Federal Capital Territory, Abuja, said Rotary had spent about $7.3bn globally and N300m in Nigeria to fight polio. He urged parents to continue to immunising their children against polio, saying it was sad that there were still some resistance against polio immunisation in Nigeria. He urged Nigerians to cooperate with the police to fight crime, adding that policemen were friends of Nigerians.